This country home located in upstate New York with beautiful craftsmanship is designed by JamesThomas interior design team. 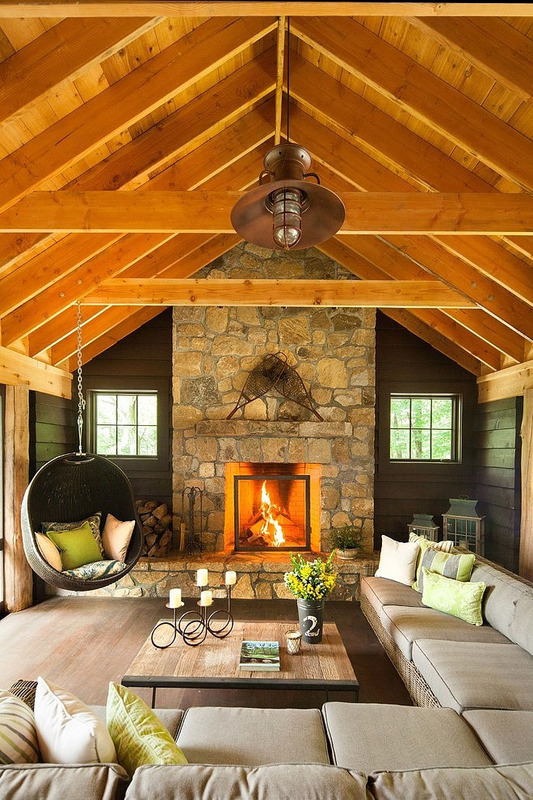 Timber frame beams provide a rustic feel to the home. The country cabin is mixed with contemporary touches.